An actor was an amazing superstar. Everyone loved him on and off the screen. He had everything a famous actor could ever want in life. Suddenly, this actor grew old, and he was no longer needed for the big-screen. This now old and out of work actor does not have money to live the life of fame anymore. Beyond that, this actor is having major problems with his family. He is at the point where he feels like giving up totally. Out of nowhere, this old actor gets an invitation to be in a play; this is the moment he has been waiting for all these years. He feels like he can pick up right where he left off and gain fame again. Along with this fame will come the money and further opportunities to continue forward and have a great life. This actor must give all he has to turn his life around forever. 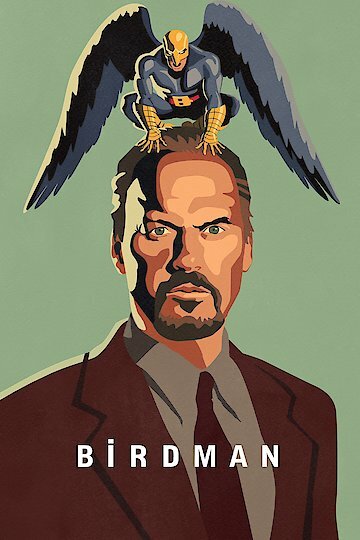 Birdman is currently available to watch and stream, buy on demand at Amazon, Vudu, iTunes, YouTube VOD online.